Want something a little traditional, but with a fun flair? Try these gorgeous purple C9 Christmas light bulbs. Their appearance brings back the nostalgia of your childhood Christmas trees, but the color can be used in a very contemporary decorating setting. This purple light throws a lot of pink resulting in a violet purple/magenta glow. For the truest purple that you can get in a Christmas light, please consider our purple LED line. 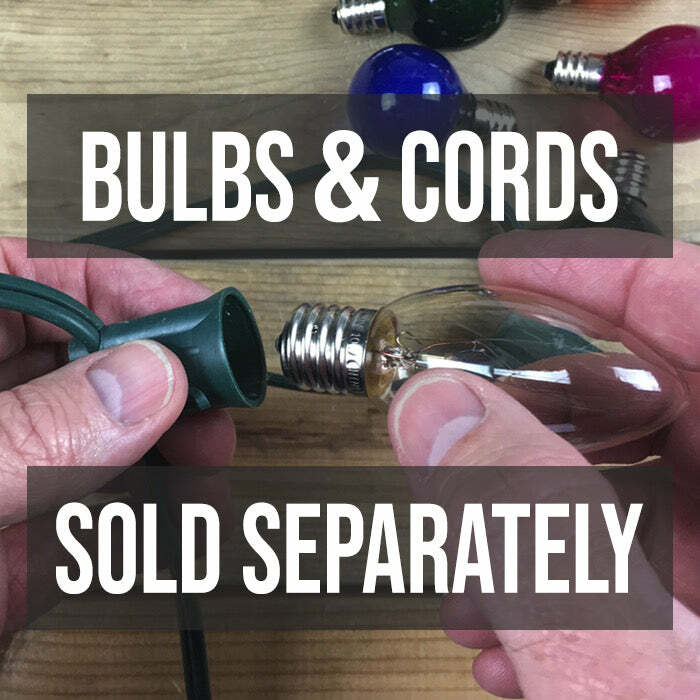 Purple C9 bulbs can be placed in both white and green cords, allowing flexibility in your decorating. Combine them with clear or white bulbs for a unique style on your greenery at Christmas. To create a textured look on your Christmas tree, combine these larger C9 bulbs with white mini lights. We love the idea of combining these purple C9 bulbs with both pink and yellow C9 bulbs for spring or Easter events. Whatever your event, you can always use a few more lights in your life! Is the lighter color in the pictures shown but still a nice and unique addition to our Christmas decorations.